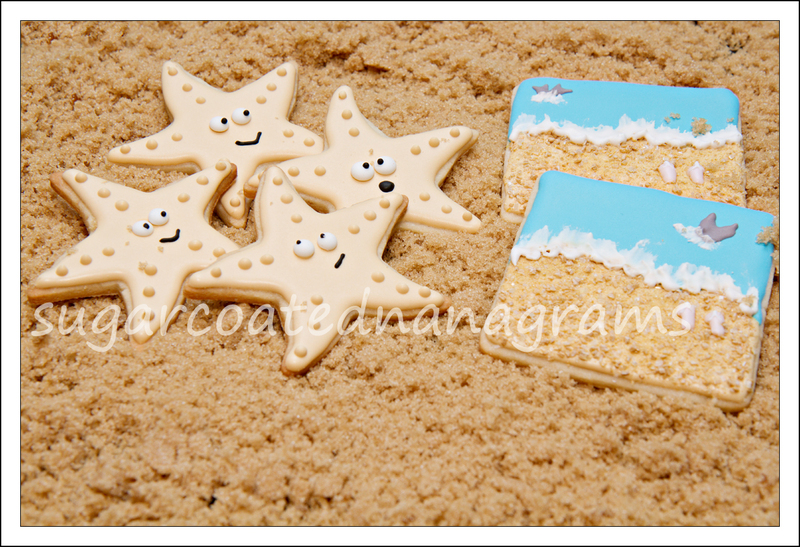 The first time I saw these beach cookies with flip flops on the “sand,” I fell in love with them. 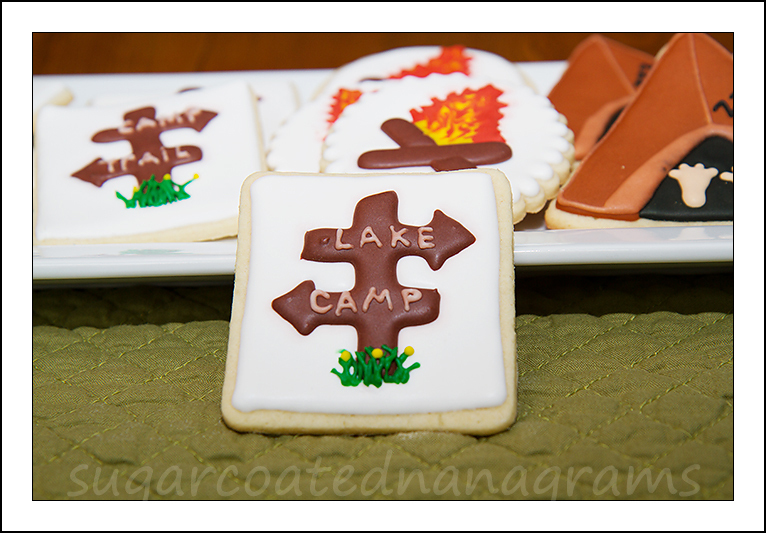 Mine aren’t even close to the ones that Michelle of Make Me Cake Me made, but hers were my inspiration. 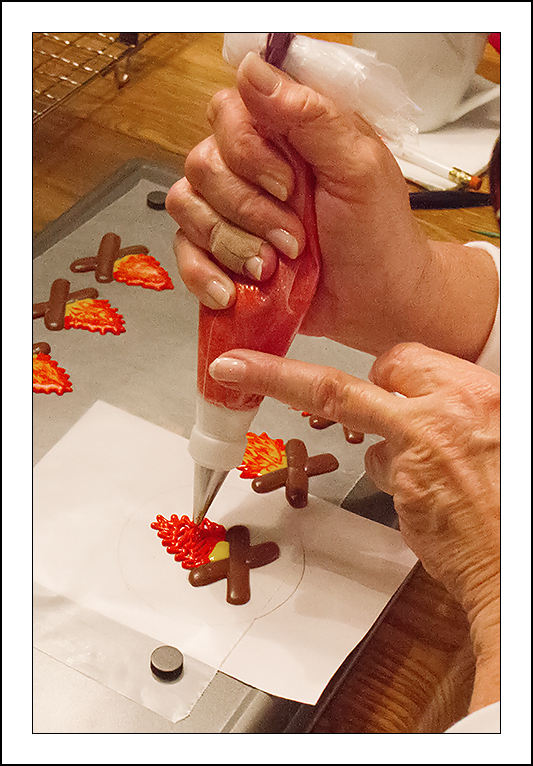 If you read the About section of this blog, you will see that my main goal isn’t to produce perfect cookies, but to reach anyone, especially senior citizens, who are afraid to tackle cookie decorating and encourage them to give it a try. 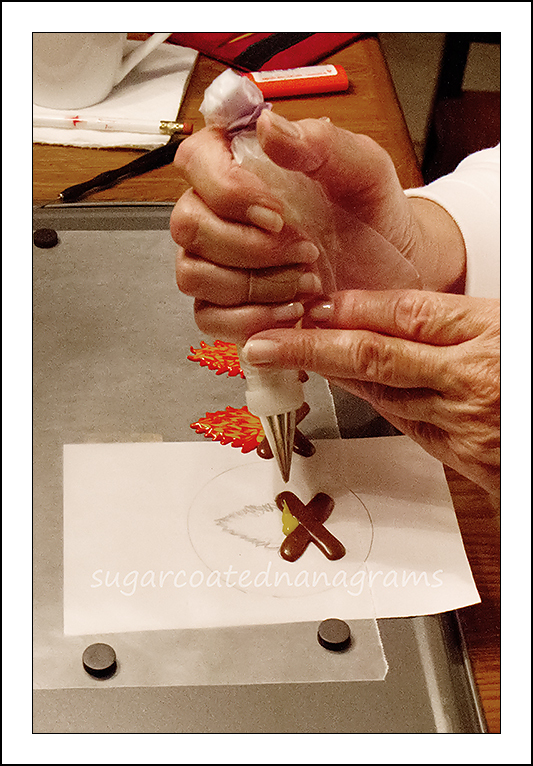 It’s a lot of fun and learning something new is good for the brain!! 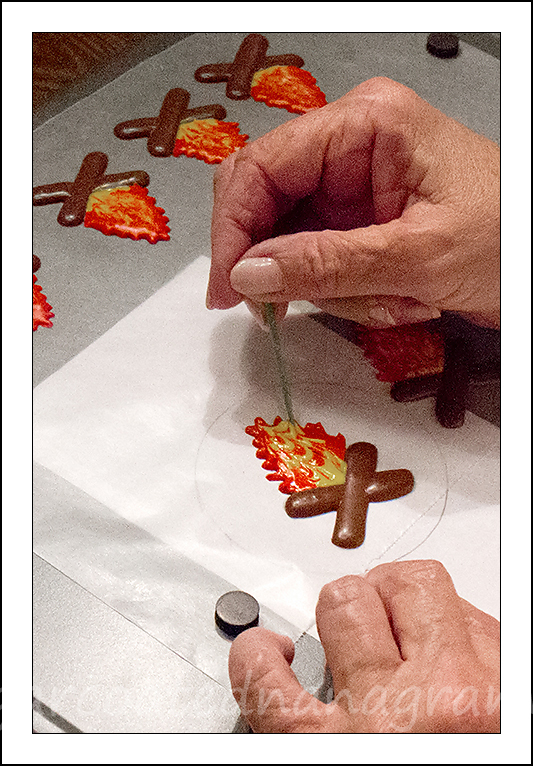 I started this journey very late in life (66) and my focus all along was to make fun things to send to my kids and grand-kids, and anyone else that I wanted to surprise with a goody box. 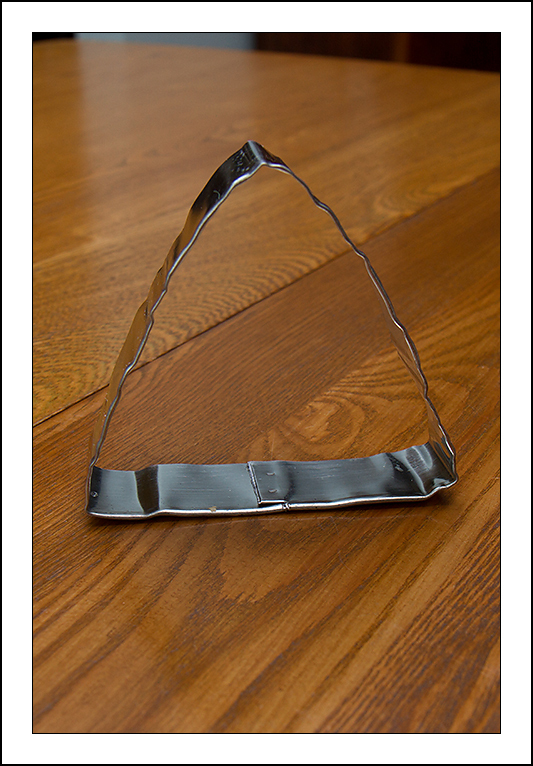 Everything you will see here are things that I have made and sent to friends and family. 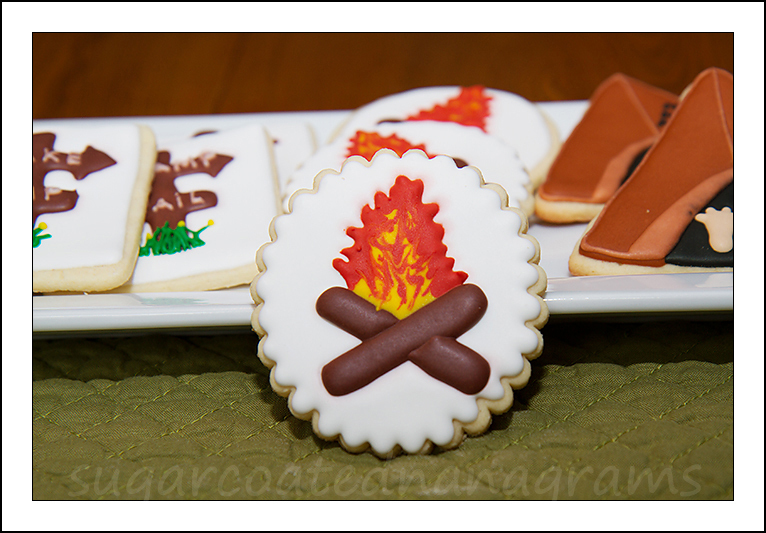 Start with a baked cookie in whatever shape you like. 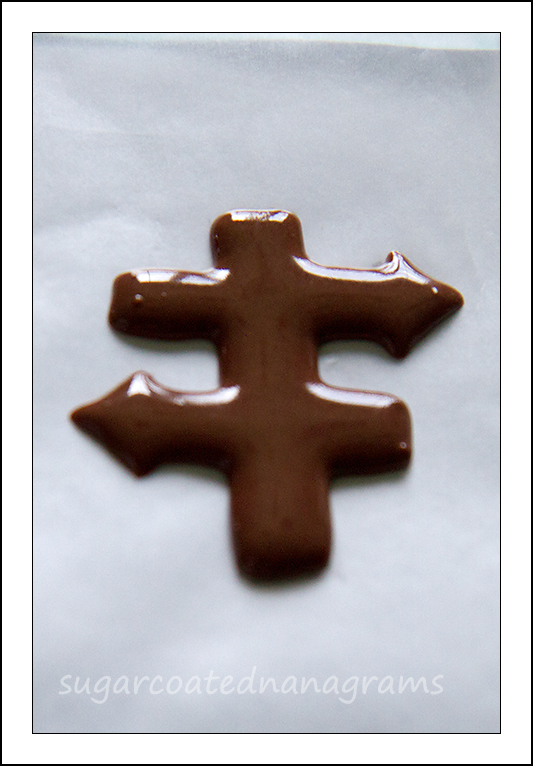 My favorite recipe is here. 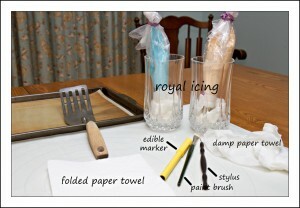 You will need Royal Icing in white, blue and tan. 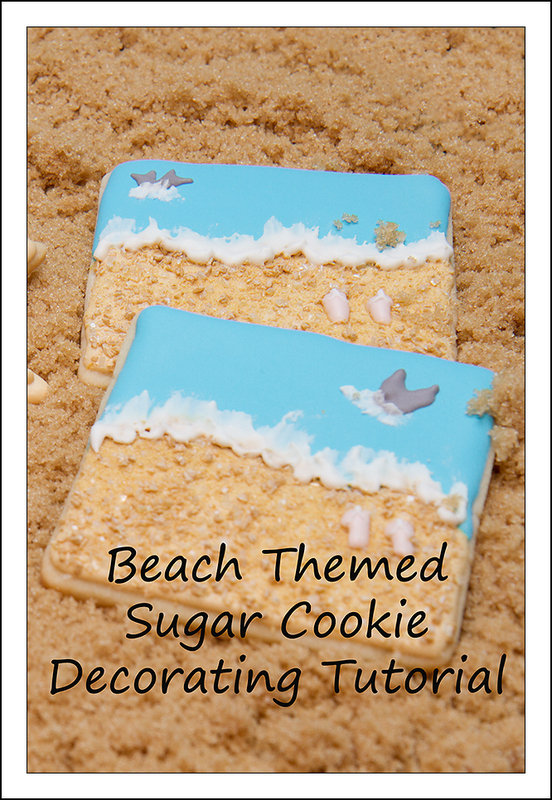 You will also need sanding sugar for the “sand.” I didn’t have any tan sanding sugar, so I improvised and colored my own. 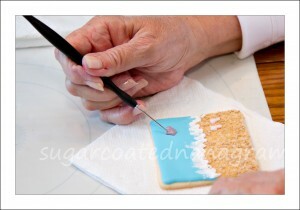 Did you know that you can color your own sanding sugar? 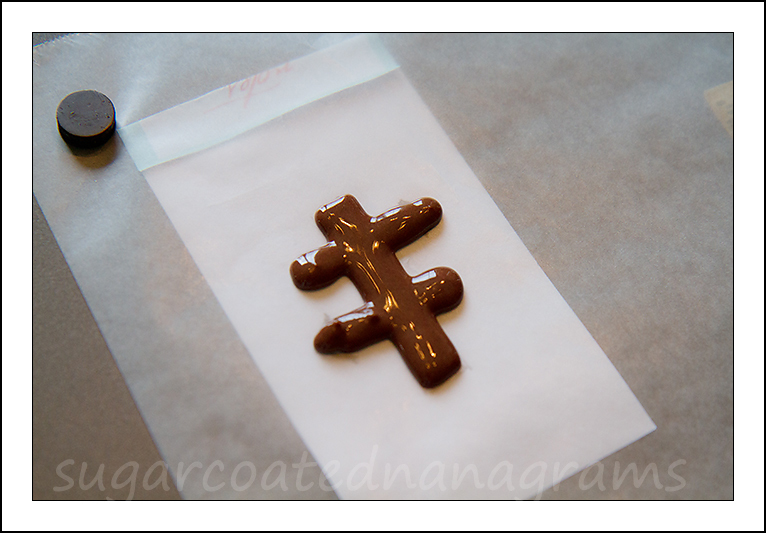 Neither did I until I read the fabulous Sugarbelle’s blog post. 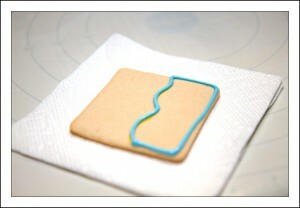 Draw the shape of the water with an edible marker, and then outline and fill with the blue/green icing. 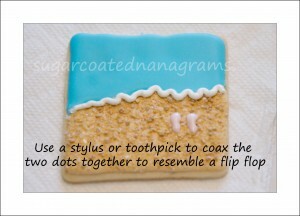 Once the “water” has completely dried, you can outline and fill the sand part of the cookie. 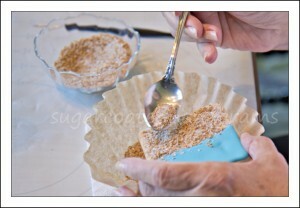 While it is still wet, hold your cookie over a coffee filter and cover with the sanding sugar. 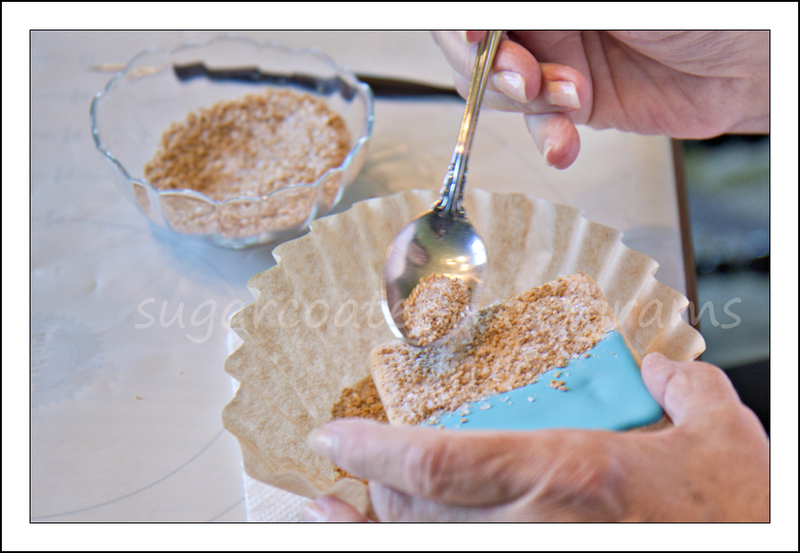 Using a coffee filter to catch your extra sanding sugar works great. When you are done it is very easy to pour all of the extra sanding sugar back into the jar. Next, pipe two dots of colored frosting onto the sand. 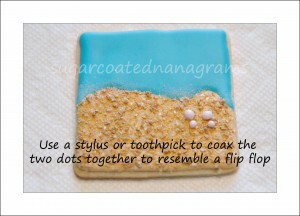 Using a stylus or toothpick, coax the two dots together to resemble a flip flop. After that is dry, pipe small white lines to look like the top of flip flops. I forgot to take a picture of this step! 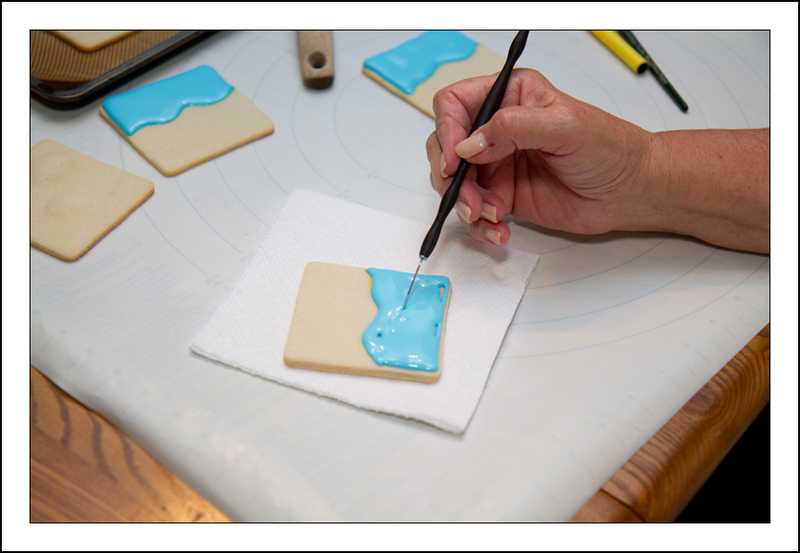 When the sand part of the cookie has dried (over night is best), brush the excess sanding sugar dust from the water part of the cookie, and pipe a line of stiff white Royal Icing along the edge of the water. Dampen a paint brush and then dry it on a paper towel. Use just the edge of the paintbrush to pull the frosting onto the water to make it look like foam. As a afterthought, I thought I would try to make a whale’s tail. 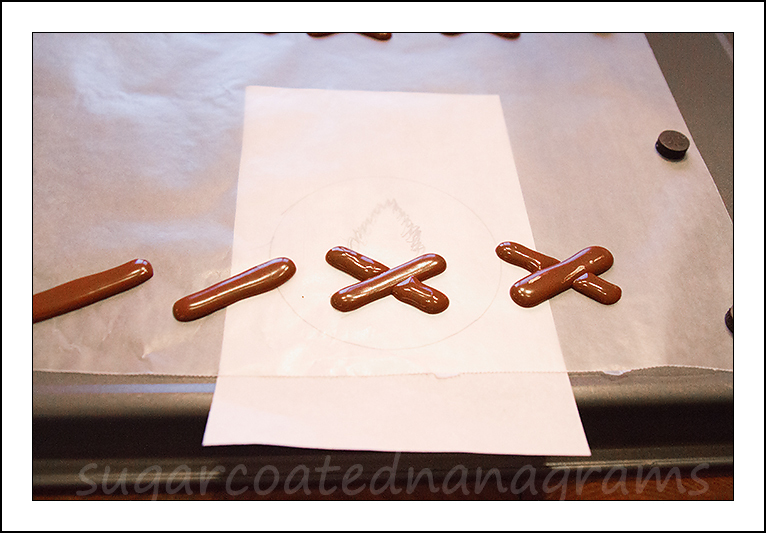 I piped a small blob of frosting and then used my stylus to make the tail shape. Clearly I didn’t remember what a whale’s tale looks like, because mine are a little strange looking. Have I mentioned that perfection is over-rated? I used a star cookie cutter to make the Starfish Cookies. 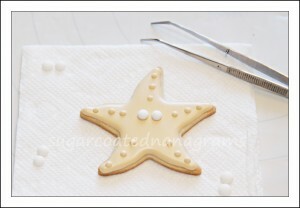 Once they were cut out, I bent the points a little to resemble a starfish. 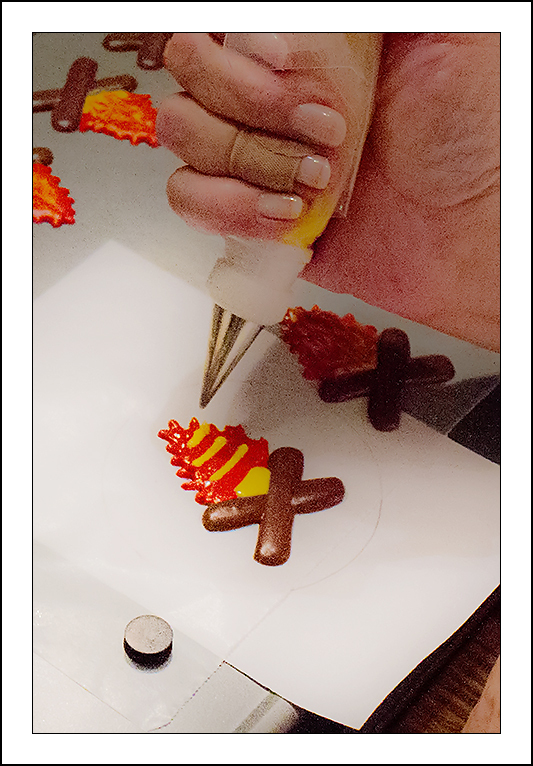 After the cookies are cool, outline and fill them with the color of your choice. 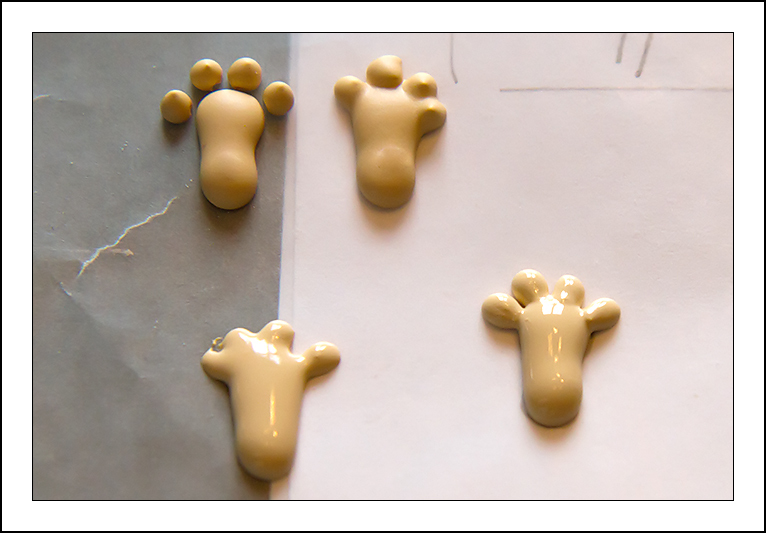 I used tan, but it might be fun to make them in a variety of colors. 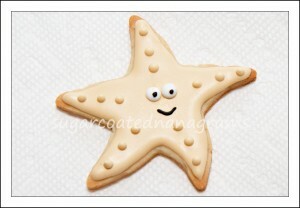 You don’t need to wait until the cookies are totally dry before adding the dots and the eyes. 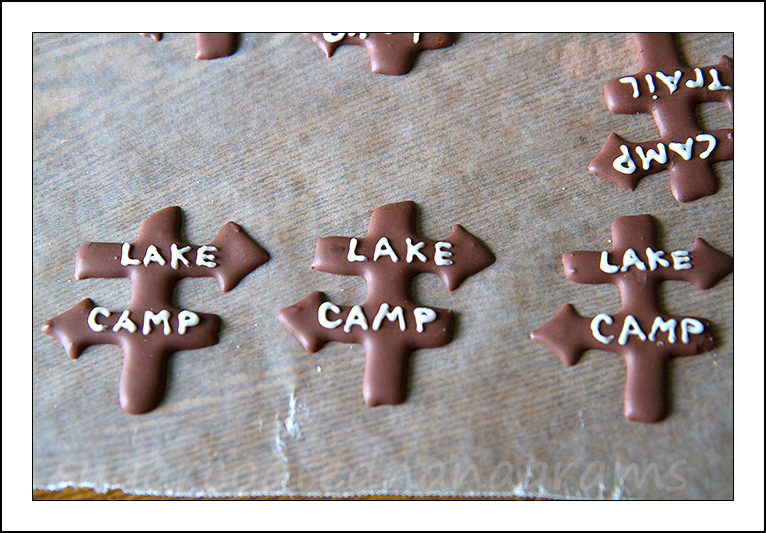 Once the frosting has crusted over, after about 30-45 minutes, you can (carefully) add the dots. The eyes that I used are transfers that I made a long time ago. 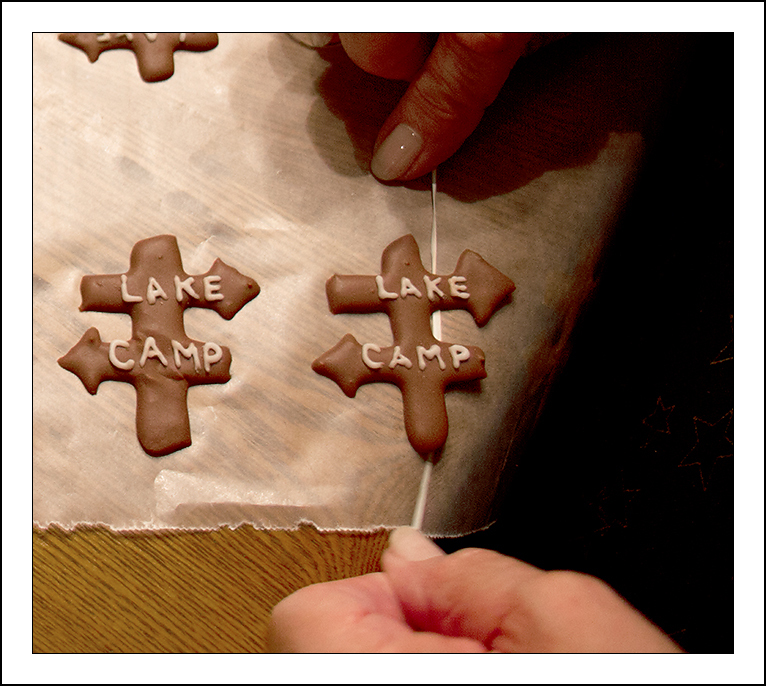 Sometimes, when I have left over frosting, I make transfers to keep on hand. I used to make the eyes complete with black centers, but I don’t anymore. I found that the black rubs off onto the white parts when they are stored in a small container. 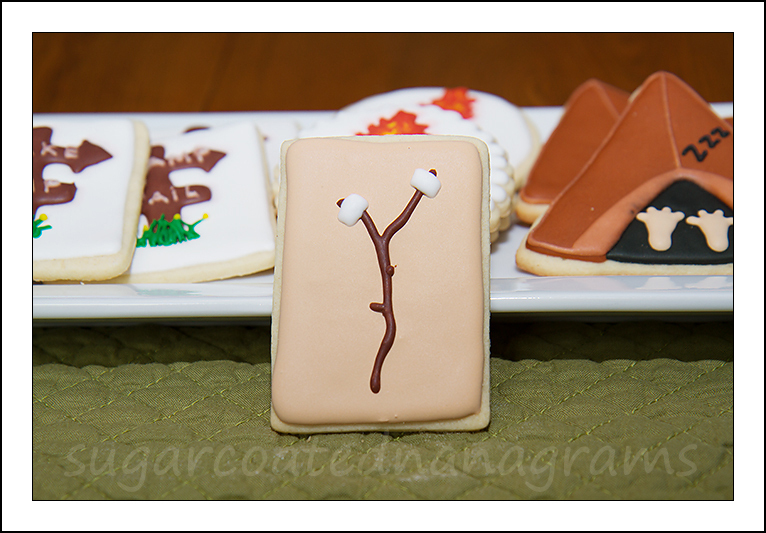 You can use a small dot of black icing or a dot of black edible marker to finish the eyes and to make the mouth. 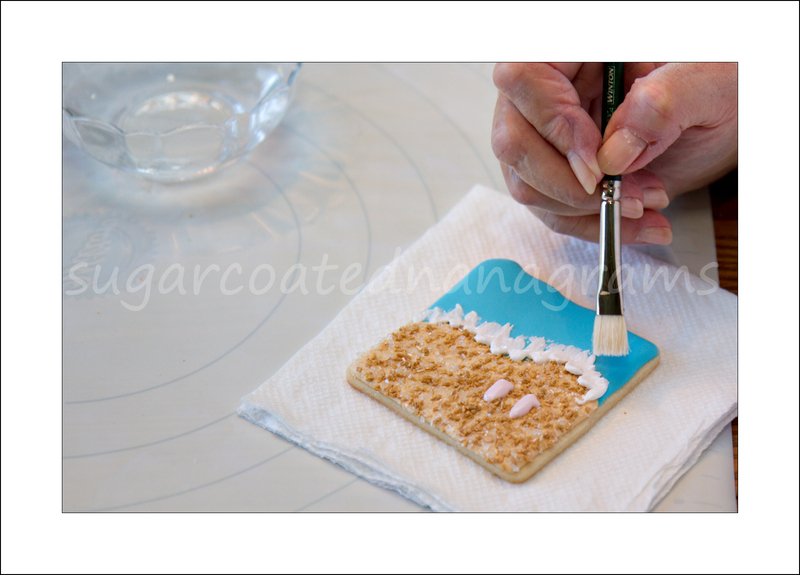 The tweezers that I use are made to be used for threading serger sewing machines, but they work better than anything else I have tried for placing transfers onto frosting. I will create a post about transfers soon. 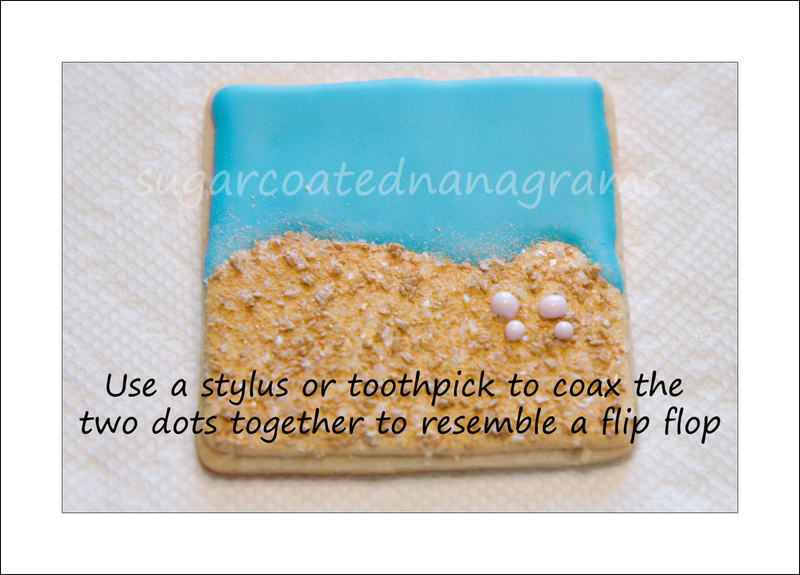 They are so much fun to make!! 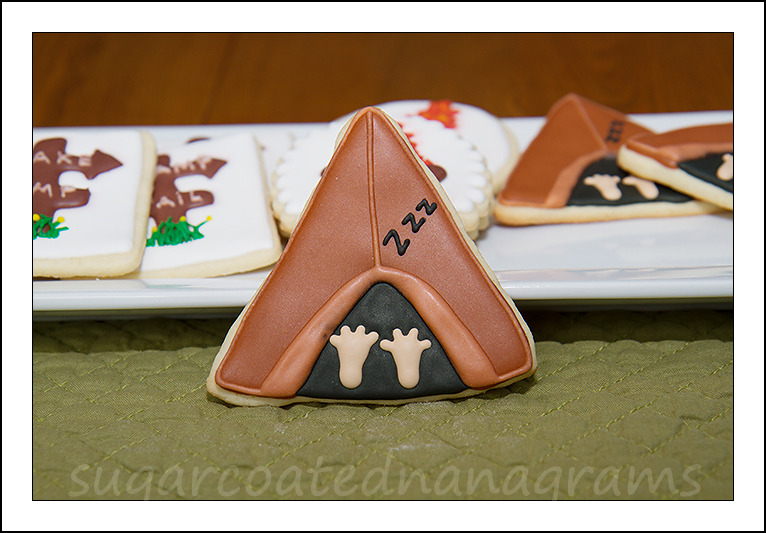 I hope you have as much fun as I did, making these cookies. 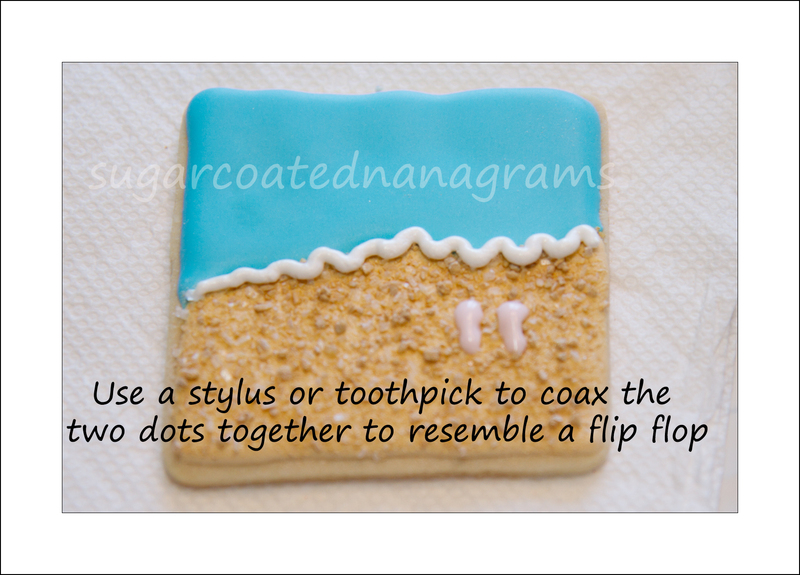 Please share photos of your fun, summery cookies!